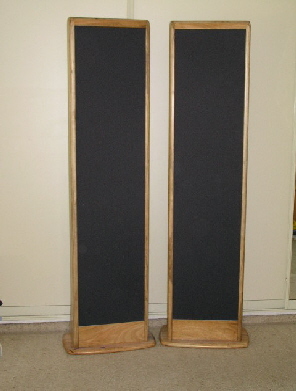 The following DIY Electrostatic loudspeaker kits are supplied for home use only and may not be used for commercial gain unless authorised by ER Audio in writing. All photographs, drawings and text contained in the kits are subject to copyright laws and may not be reproduced or copied in part or in full without written permission from E R Audio. This page will direct you to detailed information about the kit of your choice, just click on the appropriate picture. Our flagship model, equally at home in a serious audiophile music room or as the main speakers in a high end home theatre system. 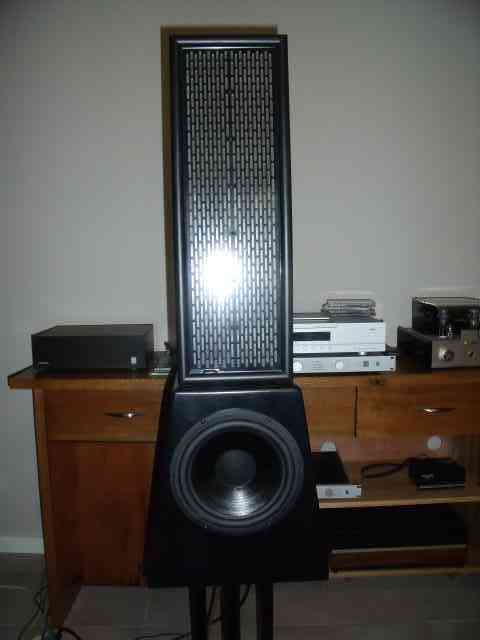 The Acorn is a dual stacked, flat, 3 segment array using discrete bass, mid-range and treble sections. 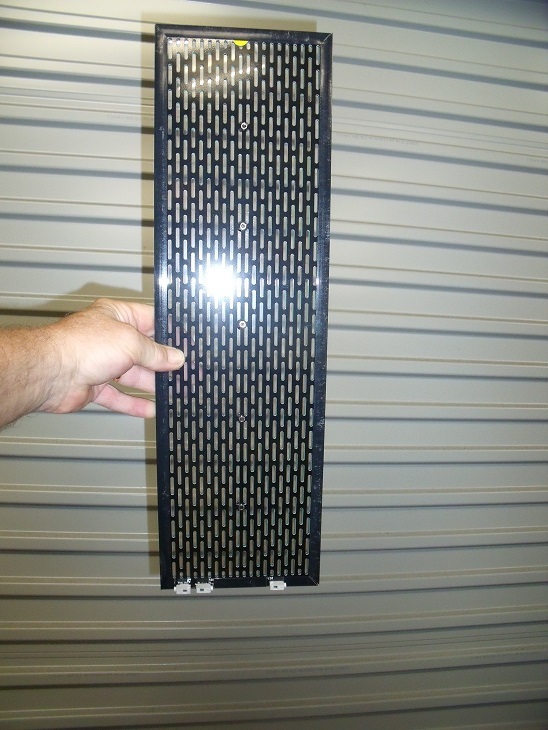 Two flat panels are stacked to create an array that is 1840 mm high. Width is 450 mm. The Acorn uses CNC machined support structures for the stators, to provide a no compromise, zero shunt capacitance design. 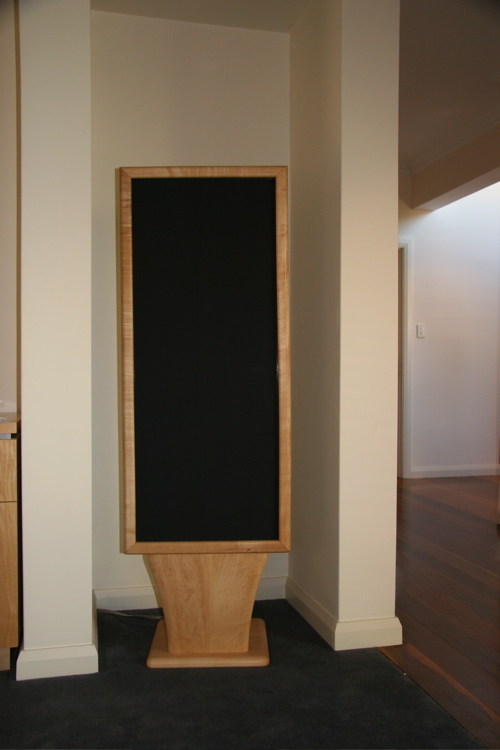 The three flat panels that make up one loudspeaker are arranged in a curvilinear array ie. 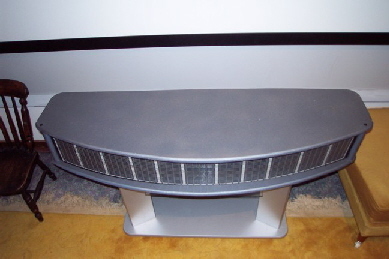 the bass panels, which are placed on either side of the centre treble panel, face slightly outward of the speaker centreline. The outer panels (called bass panels) are actually full range but the high frequencies have poor dispersion due to the width of the panel. To compensate for this the centre treble panel is narrow giving good dispersion which sonically “fills in the gap” between the two bass panels. Kit includes all components cut to size and ready to assemble. All adhesives, applicators etc are provided. Now replaced by the ESL IV, click HERE. The ESL IIIb is a flat panel version of the popular curvilinear ESL III. This speaker was originally designed for studio monitoring purposes where detail retrieval and imaging were considered more important than dispersion. Excellent sonic results can be obtained in small to medium rooms with no need for the addition of woofers or sub-woofers. The ESL IIIb is narrower than the ESL III which has been achieved by removal of the duplicated borders that divide the bass and treble sections. This means that the active area is still the same as the larger ESL III so there is no loss of output. Designed for use in a full ESL home theatre application. Electrostatic operation means that tonal quality remains the same across the front sound-stage. This is most important if voice reproduction is to remain consistent. Click on the picture to go to more information. The 505 electrostatic loudspeaker panel is the perfect way to experience the clarity that ESL’s offer without the very high price tag. Designed to be a very versatile mid / treble driver. They can be used in a 2.1 system as the satellite speakers with a single central bass unit, as stereo speakers each with its own bass unit or as a very high quality line source by stacking 2, 3 or 4 panels. Take a look at our Mini Panel page or click HERE to read more about them. While it is not necessary to have a thorough working knowledge of electronics to successfully build these kits, some knowledge is required. All of our DIY kits require soldering skills and the ability to identify the components used in the EHT supplies and crossovers and where components are polarised, to identify which way around they should be fitted. While we endeavour to make the kits as easy as possible to build there will be occasions where the builder is not sure how to proceed. We offer assistance by email (or telephone) to address any issues that may arise, this service is included in the cost of the kit. In the event the builder cannot resolve the issue the component (circuit board etc) can be returned to us for remedial action. The cost of freight to and from our premises is the responsibility of the builder as is the labour cost to resolve the issue. If you are unsure of your ability to build the kit we are happy to assemble the electronics or panels or both for you at additional cost. Please note, we cannot be held responsible for incorrectly assembled components or any resulting damage, nor are we responsible for inadequate assembly skills.